Our Wearable Blankies warm them like a comforter but fit as snug as their regular jammies. The most common wake up time in young children is between 3-4am when the temperature dips. Avoid those early morning wake ups by keeping your child warm and protected. Avoid having to tip toe into their room to pull the blanket back on. 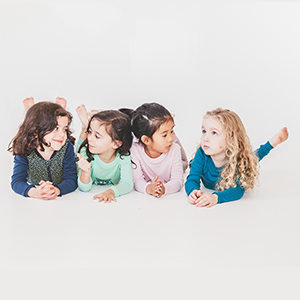 Our sleepsuits will keep your child warm without the need for a blanket. 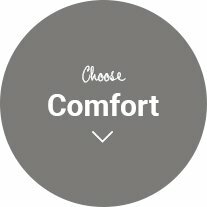 Moving to a big kid bed? The perfect way to transition your toddler out of their sleeping bag to get them ready for their toddler bed. Elimate the trip hazard and encourage independence. Babies and young children have difficulty regulating their own body temperature. They can loose body heat up to 3 times faster than adults. 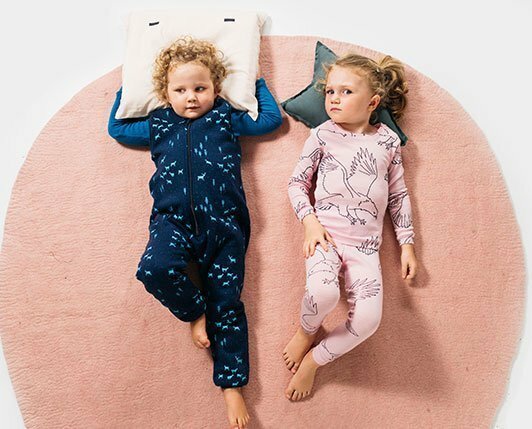 Supersoft, all natural Merino wool helps regulate your child’s body temperature, so they stay warm and comfortable through the night and into the morning. “Felix was waking up at 5am because of the cold (he sleeps on top of his doona). I put him in the Wearable Blanket and not a peep since. He’s now sleeping through until 6.30am. Thank you!”. “The biggest benefit is that I don’t have to have the heater on all night. I now have peace of mind that she’s warm even when the blankets come off “. “We were given the wool pj’s and the Wearable Blanket as a gift. The quality is fantastic – absolutely NO itch from the wool and Millie loves wearing them. She did the best day nap I’ve seen in ages in her Wearable Blanket!”. Sleeping bags quickly become trip hazards and blankets are no match for your little houdini’s restless, kicking feet. 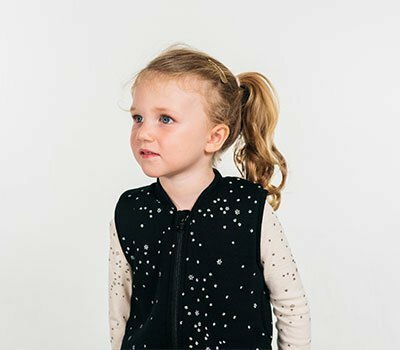 When your toddler becomes active, a sleepsuit is the perfect solution to keeping them safe to move. Our sleepsuits are designed for versatility by adding and removing layers. You can rest assured knowing your little one will sleep comfortbly through changing temperatures. “Nina slept much better with this suit than in a blanket or sleeping bag. I love that Nina could stand up in her cot without banging her head…that her legs were totally free to wriggle around and get comfortable”. “At 12 months Jet was getting twisted in his sleeping bag and waking regularly. I thought the Wearable Blanket wouldn’t be warm enough compared to the other thick sleeping bags on the market. With the Wearable Blanket he slept better and had no more night wakings”. 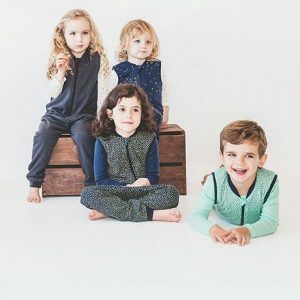 “I like it that the Wearable Blanket is so easy to wash. We just wash and dry like usual but find that I don’t need to wash it as often as other pj’s”. Merino wool is a great insulator, but it’s also ultra-breathable. That means it will keep your child superbly warm without the risk of overheating. 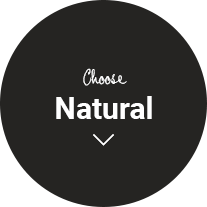 Because it’s a natural fibre, it allows heat and air to circulate, wicking away moisture and making it more comfortable to wear during both the day and night. 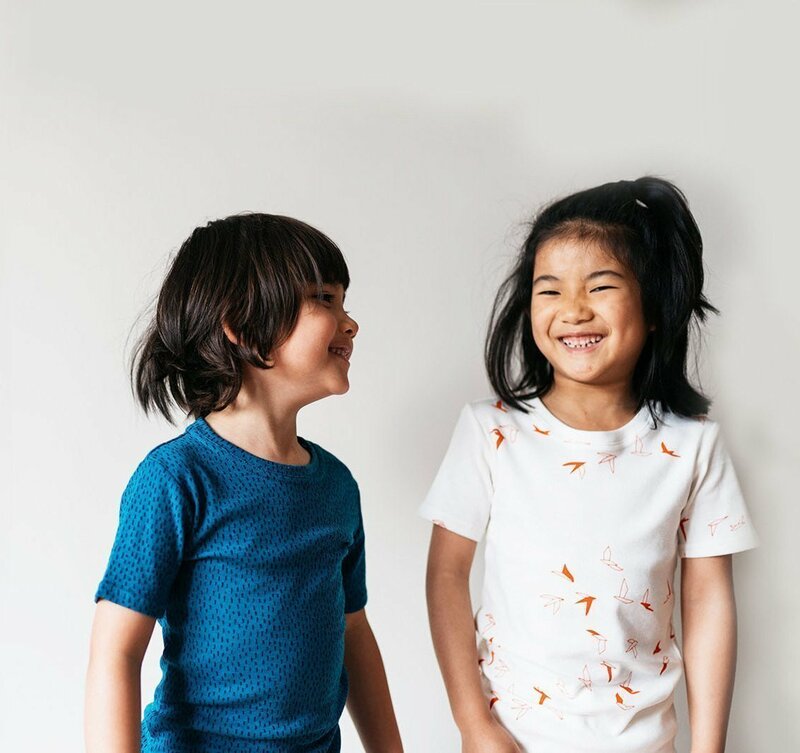 We only use 100% natural, sustainable and ethically sourced Merino wool – we’re committed to doing what’s best for your child and for our planet. 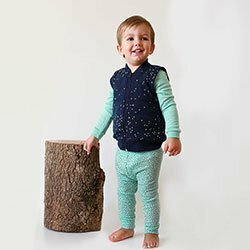 “I love that the Wearable Blanket is a sleepsuit rather than a sleeping bag so my children can walk around in it. My boys put them on right after their bath while we read books and they keep them on in the morning until they have breakfast. We LOVE the the pj’s and the Wearable Blanket!”. “Our girls have stopped complaining that they are cold at night. We haven’t been getting many wake up calls at night since we started using the Wearable Blanket. I can sleep better now knowing that they are warm and comfortable”. “Bonus! I like that the sleepsuit is easy to get into and Lucia can easily dress herself without my help”. 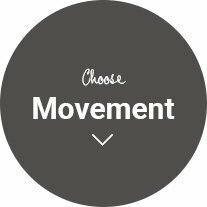 We have designed the Wearable Blanket with your child’s movement in mind. The open-leg design make it easy for little ones learning to walk and supports their desire for increased independence and freedom of movement. 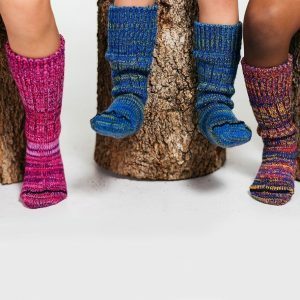 Simply cover their feet with Merino wool sleep socks to keep your little one warm from head to toe! This way, you can rest assured your child is keeping warm, with the added ability to move about safely in the morning! How can Merino wool be good for eczema? What tog should I buy for my child? What is affecting your child’s sleep?